The first rule of broadcasting and politics is that the mic is always hot. 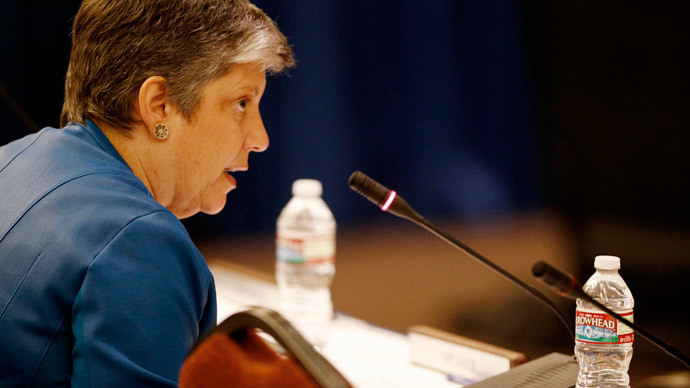 Former Secretary of Homeland Security Janet Napolitano forgot that rule during a University of California regents meeting, calling a student protest against tuition hikes "crap." Napolitano, now the president of the UC system, was leading a Wednesday meeting of the Board of Regents at UC San Francisco. She was sitting next to Chairman Bruce Varner when the gathering was interrupted by students protesting potential tuition fee hikes and a new UC Berkeley campus in Richmond, California, KPIX reported. At the meeting, which was being recorded, UC Berkeley junior Kristian Kim told the regents that students and Richmond residents were not to be exploited before taking off her shirt, saying it was all she had left, kicking off the protest, according to the San Jose Mercury News. The semi-naked protesters had written “student debt” on their bodies. When he couldn’t hear her, she repeated her comment. “Let’s go. We don’t have to listen to this crap,” the former governor of Arizona said. Napolitano and the regents left the room, returning 20 minutes later to resume the meeting, the San Francisco Chronicle reported. 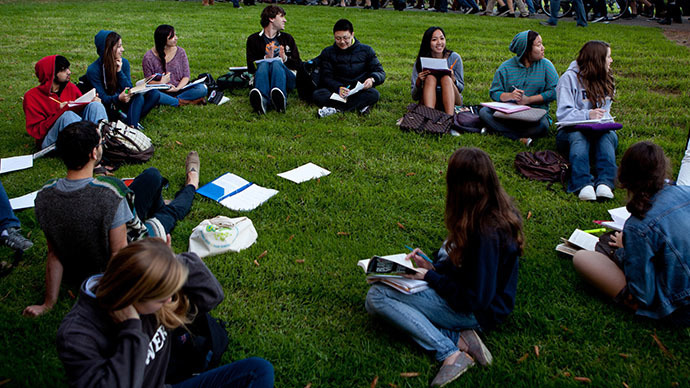 Earlier in the meeting, the UC president had said that she valued the students’ concerns. “They want to be sure that their voices are being heard and I want to commit to them that their voices are being heard,” Napolitano said. Students at the protest said they were not surprised by her comment on the hot microphone. 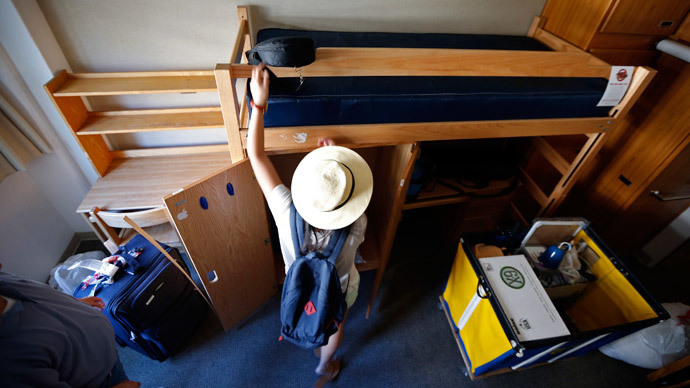 “It's indicative of how she feels when students raise their voice,” UC Berkeley senior Spencer Pritchard told the Mercury News. “I’m sorry for using a word I don’t usually use,” Napolitano said, according to KPIX. Pritchard wasn’t placated by the atonement, however. Protesters told KPIX that they suspected the meetings were scheduled during a busy week of midterms, but that they won’t stop protesting until their message is heard. The students are demonstrating against a proposed 5 percent annual tuition increase for the next five years, and are pushing for the UC system to sign an agreement to bring jobs and other benefits to low-income residents of Richmond, a city just north of Berkeley. UC’s flagship campus is developing a secondary location in Richmond.